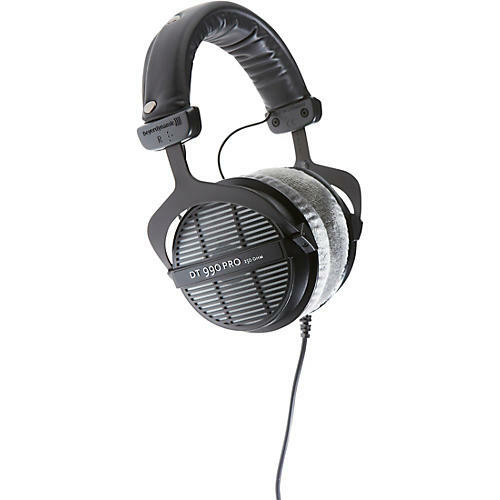 Beyerdynamic DT 990 PRO open dynamic headphones are suitable for the most demanding professional and audiophile applications. The reduced weight of the diaphragm and moving coil result in a similar pulse characteristic as electrostatic headphones and, in combination with a carefully tailored frequency response, offer a natural and balanced sound. Soft ear pads and adjustable, sliding earpieces together with a very flexible coiled cable ensure that DT 990 headphones give you listening comfort during extended periods of use.